It’s important to consider a number of factors before choosing between a conventional or tankless water heater. Reddi Services is ready to analyze your needs and help you decide if a conventional or tankless system is the right solution. Overall water heater efficiency is partly dependent on Energy Factor (EF) — how well the fuel source transfers heat to the water, the amount of standby loss, and the loss of heat in circulation. It is also important to consider fuel costs, the lifespan of the models available, and the appropriate size system for your needs. What’s the difference? Is a Tankless Water Heater the Right Solution? Just about everyone is familiar with the classic conventional water heater — through the use of electricity, gas, propane, or heating oil, water is heated and stored in an insulated, cylindrical tank. Some energy is wasted as the heater constantly works to keep the reserved water hot and ready to use. The typical lifespan of a conventional model is 8-12 years. 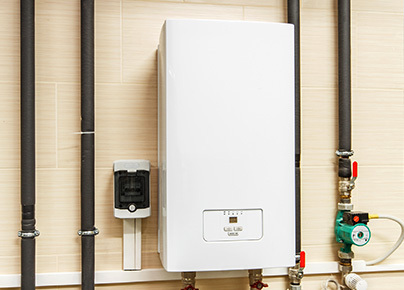 Tankless water heaters also use gas or electricity, however, they work on demand to heat water, saving water and energy. No storage is required as the unit only needs to heat the water when required for immediate use. The heater itself is mounted on the wall, freeing vital floor space. If many sources draw hot water simultaneously, it is possible that a single tankless unit would be unable to provide adequate hot water. 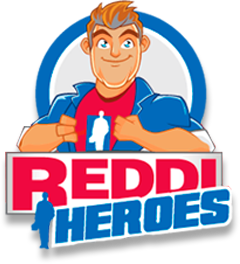 By analyzing the typical number of people using hot water, the number and types of appliances drawing water, the number and locations of bathrooms, and the typical use patterns, Reddi Services can accurately determine if more than one tankless water heater is optimal. Tankless water heaters can be placed precisely where they are needed most, nearly eliminating the waste from running the water until it gets hot. While the units may seem more expensive than conventional models, the tankless systems last nearly twice as long and save the consumer in utilities and maintenance costs for years. A tankless water heater may be exactly the right fit for your needs. 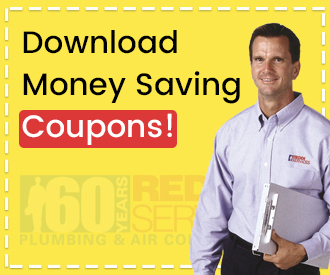 Reddi Services is ready to properly remove and recycle your old water heater and install the appropriate new one. 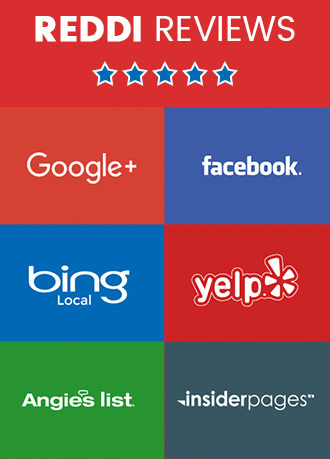 Reliable, efficient, glorious hot water is just a service call away.